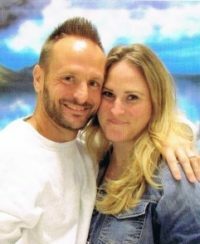 13 years in,ON A 30 to LIFE SENTENCE FOR A MURDER I NEVER COMMITTED..NO FAMILY NO FRIENDS NO KIDS JUST ALONE TORN DOWN BEATIN HEART BROKEN COLD AND READY TO GIVE UP ON LIFE.. YES THIS IS HOW I FEEL DAY AFTER DAY,THE STRUGGLE IS REAL I MAY END UP DIEING IN PRISON A INNOCENT MAN BECAUSE I DONT HAVE THE MEANS TO GET THE PROPER HELP..THIS IS MY FIRST TIME IM ABLE TO SPEAK TO ANYONE WHO IS WILLING TO JUST TAKE SOME TIME AND LISTEN..IM NOT SURE WHERE TO BEGIN WITH MY WORDS BECAUSE THE WORDS TRUST,LOYALTY,LOVE,COMPASSION,TRUTH AND RESPECT DONT AND HAVENT EXISTED SINCE THE DAY I WAS SENTENCED AND EVERYONE I HAD THESE FEELINGS FOR THREW ME AWAY LIKE A PIECE OF TRASH.. PAIN RUNS DEEPER THROUGH MY HEART BLACKER THAN COAL AND ICE RUNS THROUGH MY VAINS COLDER THAN THE ARTIC OCEAN..WHOEVER IS TAKING THE TIME TO READ MY WORDS OF HURT PLEASE NOTE THAT AS A MAN I HAVE NOTHING BUT MY HONESTY AS MY LIFE HAS BEEN NOTHING BUT SORROW AN HELL SINCE I BEEN LOCKED BEHIND THESE SOLID WALLS AND BARBED WIRE..THIS IS THE BEGINING OF MY LIFE BEING OPENED TO THE PEOPLE IN THE REAL WORLD,IM CURRENTLY INCARCERATED HERE AT NEOCC I CAN BE CONTACTED ON THE WEBSITE WWW.JPAY.COM WHOEVER WANTS TO LISTEN AN TALK TO ME..IM NOT LOOKING FOR ANYTHING EXCEPT HONEST REAL NEW FRIENDS OR JUST OPEN MINDS WHO CAN SEE THE TRUTH AND I DONT MIND QUESTIONS BEING ASKED AND U CAN LOOK MY WHOLE CASE UP ON SOCIAL MEDIA OR HOWEVER THE INTERNET WORKS NOW..THESE ARE THE WORDS OF AN INNOCENT HONEST BROKEN MAN..
Jesus loves you more than you could ever know. He can give you peace in the bleakest situations. Kevin, just to let you know I’m praying for you, that God gives you hope in Him. Thanks for your post.